AT ELLIS COFFEE, WE GO TO WORK EVERY DAY TO PROVIDE YOU WITH AN EXTRAORDINARY COFFEE EXPERIENCE. Our new turn-key Cold brew coffee program is now available! Contact our sales team for more information! Ellis coffees have been family roasted since our beginning in 1854 as a shoppe on Philadelphia’s waterfront. For generations, our coffees have been served in fine hotels and restaurants. Today, Ellis sources, roasts, and distributes coffees from around the world to our customers. The Ellis team partners with our customers to develop and deliver successful coffee programs. Ellis Coffee announces the launch of E-Cups! 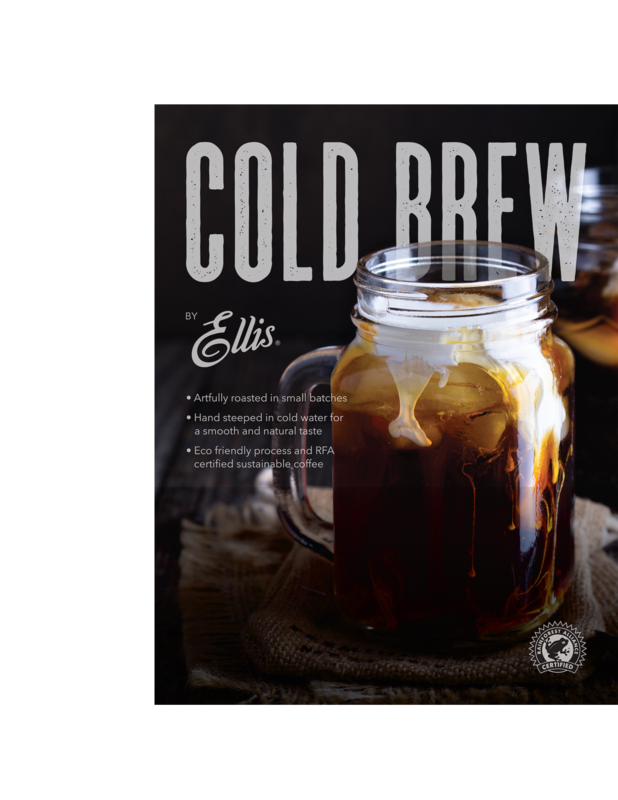 Ellis coffee has launched our branded line of Single Serve Coffee Cups, or E (Ellis) Cups! Ellis is producing 15 varieties of coffee from our Heritage and Mezzaroma brands. Our Extensive offerings provide different varieties and tastes for everyone. They include traditional favorites and flavors of Ellis as well as Specialty and Rainforest Alliance Certified products from our Mezzaroma brand. Our cups are compatible with most brewers including the Keurig 2.0 and are available in a convenient 4/24 count case.